Do you want to add a slideshow on your website? While there are many WordPress slideshow plugins available, not many allow you to combine image galleries and slideshows. In this article, we will show you how to create a gallery slideshow with thumbnail navigation in WordPress. As we mentioned earlier, there are dozens of WordPress photo slideshow plugins available. However, creating a WordPress slideshow using a normal slideshow plugin can be a long process because you have to individually upload each image which is a dreadful task. 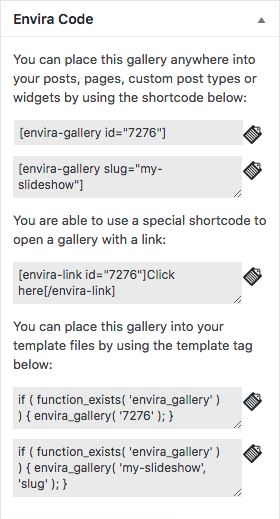 To help our users save time, we created a Slideshow Addon in Envira Gallery that allows you to create beautiful slideshows using your image galleries. 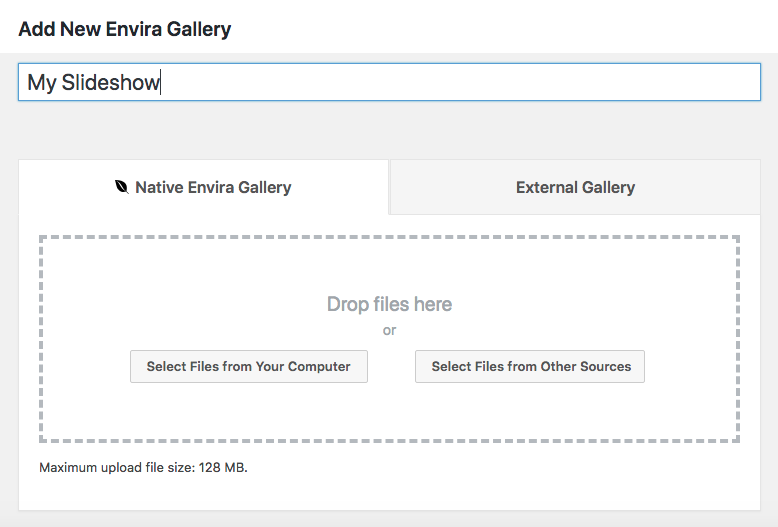 Upon activation, you need to go to Envira Gallery » Settings. Next, you need to click on the Addons tab to install and activate the Slideshow Addon. Once the slideshow addon is activated, you can use it in combination with your image galleries. Let’s start by creating an image gallery by going to Envira Gallery » Add New. You should add a title to the image gallery, and drag / drop the images under the Images section. These images will be used as slides. After adding the images, you need to go to the Slideshow tab and enable the slideshow. 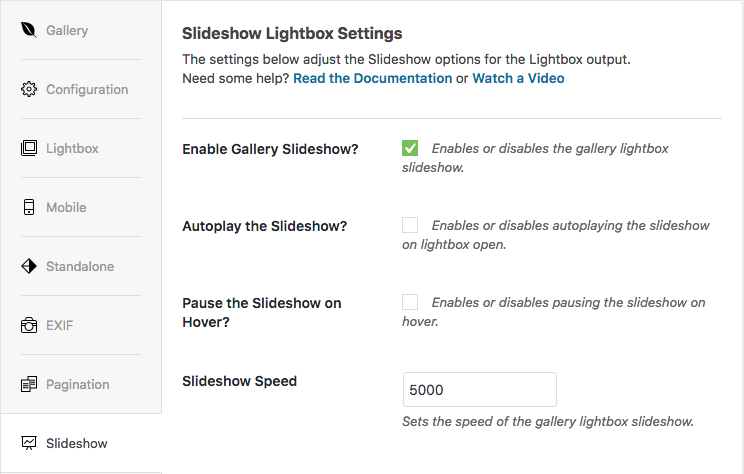 You can also enable autoplay option for your slideshow and customize the slideshow speed. Once you are satisfied with the settings, go ahead and click on the Publish button. On the right side of the screen, a dialog box will appear with the shortcode and some other information which you need to copy for the next step. 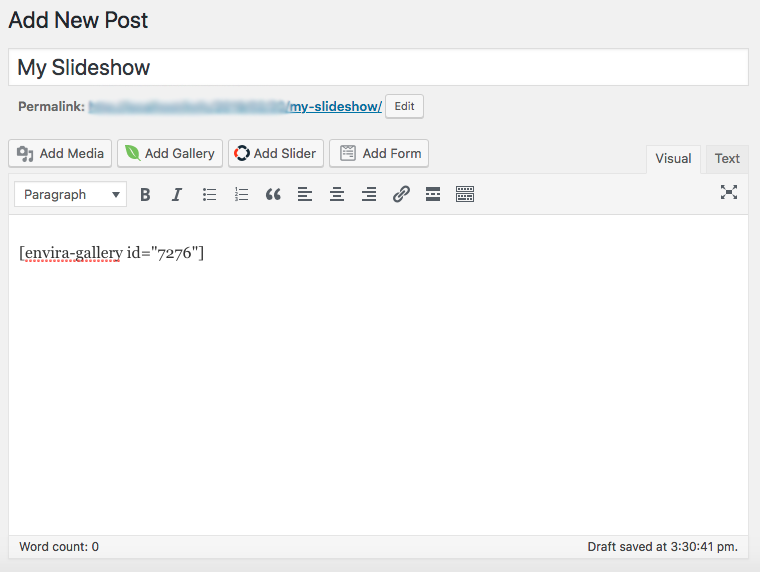 To add the slideshow, you can either create a new post or edit an existing one where you want to display the slideshow. Inside the post content, you will need to paste the shortcode and press the Publish button. Your WordPress slideshow is now ready to be viewed on your website. We hope this article has helped you create a photo gallery slideshow in WordPress. You may also want to check how to create an image slider for your WordPress galleries. Thanks for that, now how do I get rid of the white border round the photos? Thanks for taking the time to discuss this, I feel strongly about it and enjoy learning more on this matter. If possible, as you gain expertise, would you mind updating your blog with more inormoatifn? It’s extremely helpful for me. How do I embed the slideshow in a post and how can I go directly from the click to the lightbox slideshow? Right now I have added the gallery to the post but I cannot wrap my text content around it. Also when I click, I get the gallery first and then when I click an image I now get the lightbox slideshow. 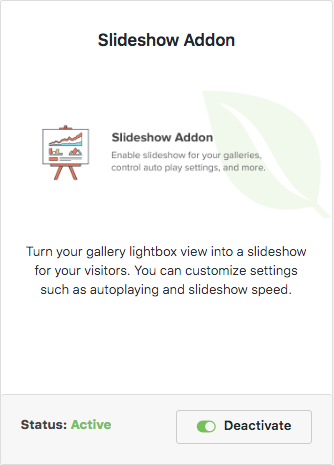 I want to be able to click the gallery link and go straight to the lightbox slide show. Hey, you can simply do it by using Envira’s Albums Addon. 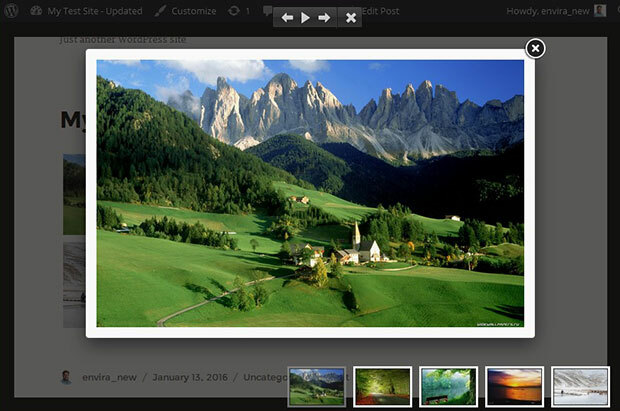 Whether you add one or multiple image galleries, you can click on the gallery and see it as the lightbox slideshow. How i make a user login panel or form And if user not login then need to register a user.This process is instated from the admin panel if user login in admin panel then it not work for user login . How can I just get a small strip with thumbnails to scroll horizontally?